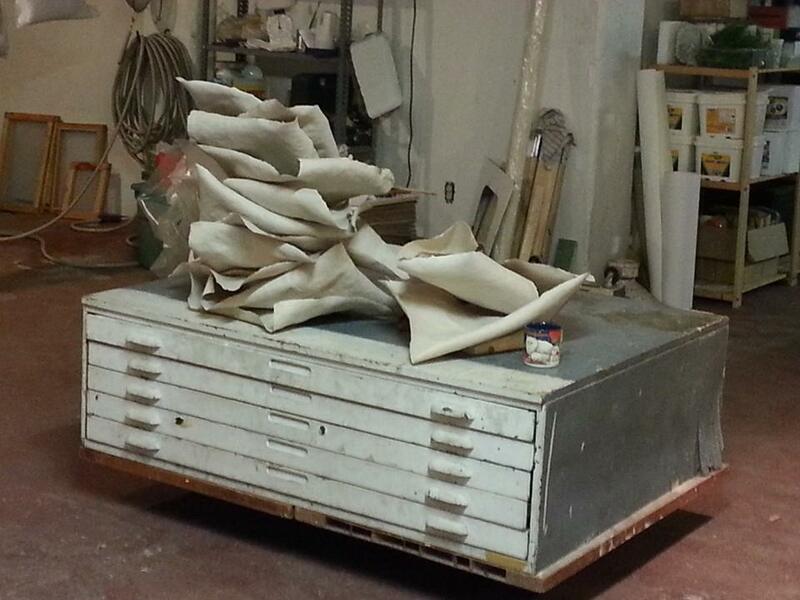 I know I mentioned that spring was a busy time in the studio, so now that two projects have wrapped up, I finally have time to blog about some of the cool stuff I was working on. 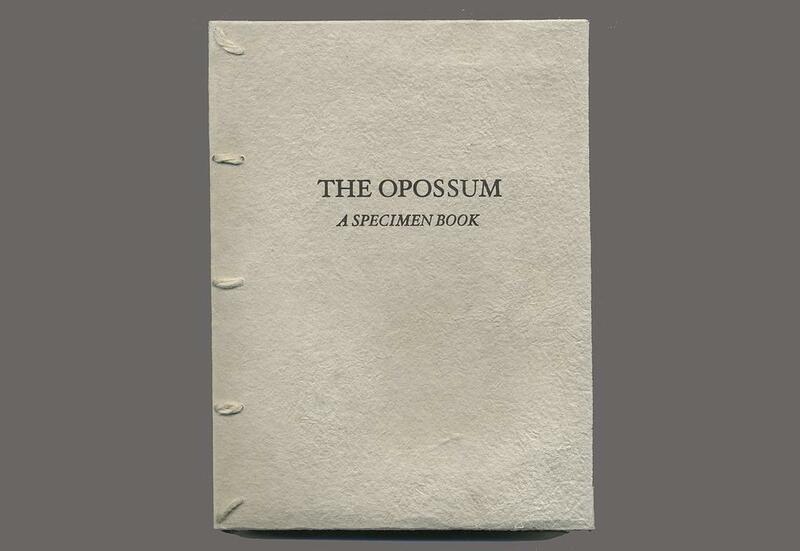 Back in September last year while I was vending at Philalalia, I began talking with book artist Susan Viguers, who was looking for a handmade paper to use in her upcoming project “The Opossum: A Specimen Book”. 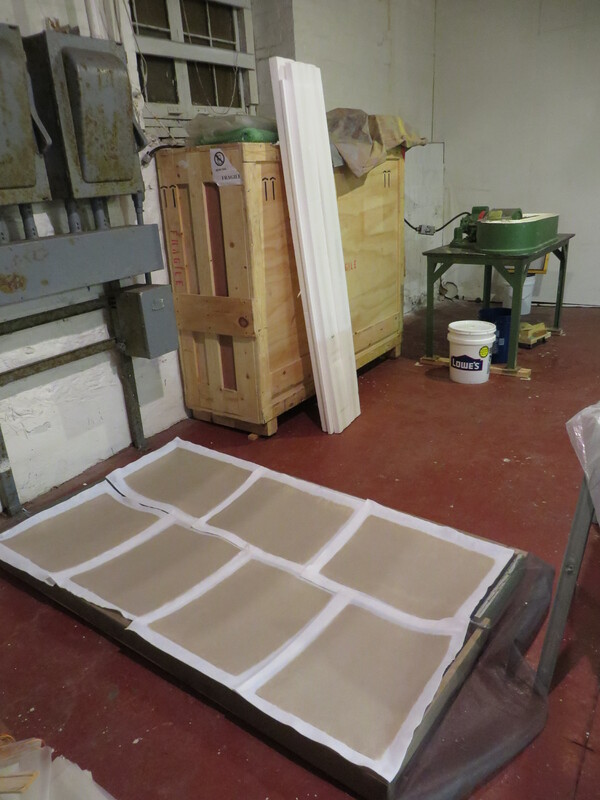 She wanted a tough, creamy, and somewhat crisp paper to use for her limp vellum binding. We ended up going with a 3-hr abaca, felt dried, and I have to say the sheets look mighty handsome with that crisp letterpress printing. It’s a beautiful book! You can see more photos of this book, its interior, and other books on Susan Viguers’ website. 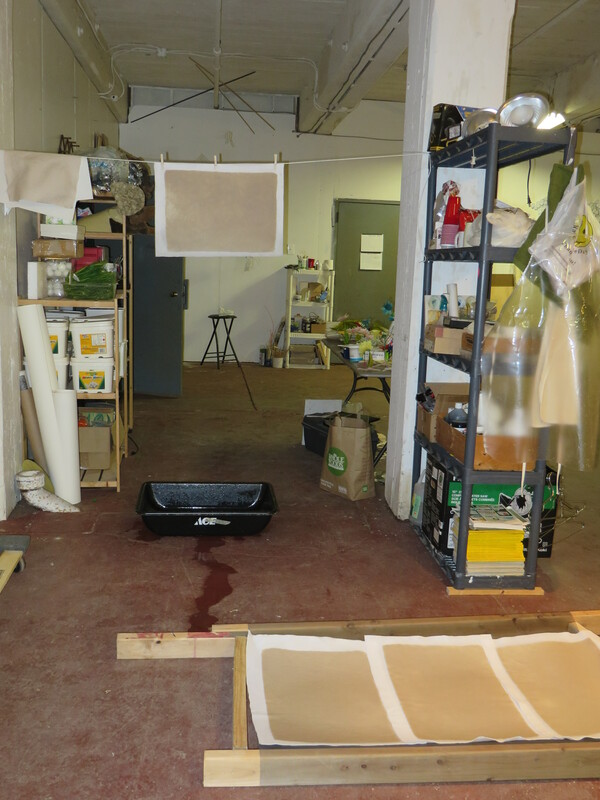 And here are some in process shots of the abaca papers. 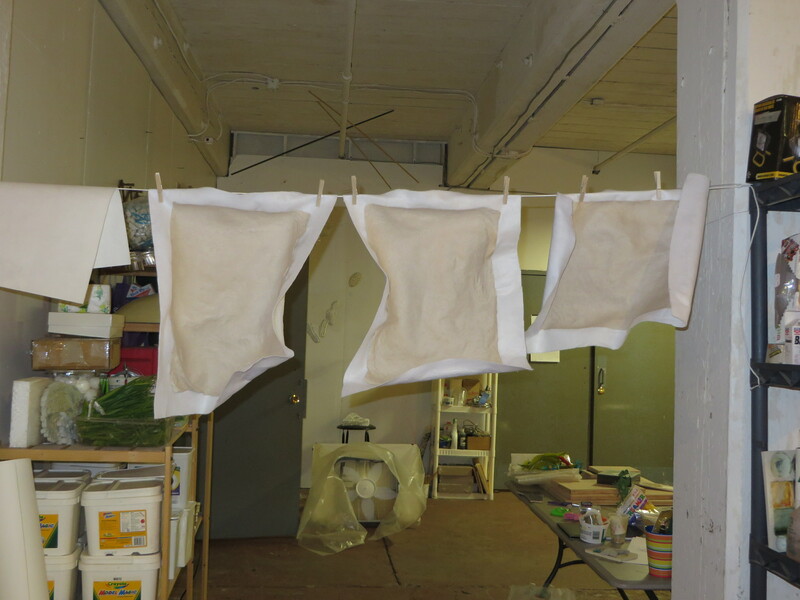 Drying the wet sheets on felts.